NAS hosts the 13th Annual Meeting of African Science Academies (AMASA-13) In its mission to strengthen the nation’s ability to deliver the fruits of science to society by the acquisition, growth, and dissemination of sound scientific knowledge and facilitation of its use in the solution of major national problems, the Academy establishes and maintains the highest standards of scientific endeavour and achievement in Nigeria through the organization of conferences, seminars, workshops and symposia. 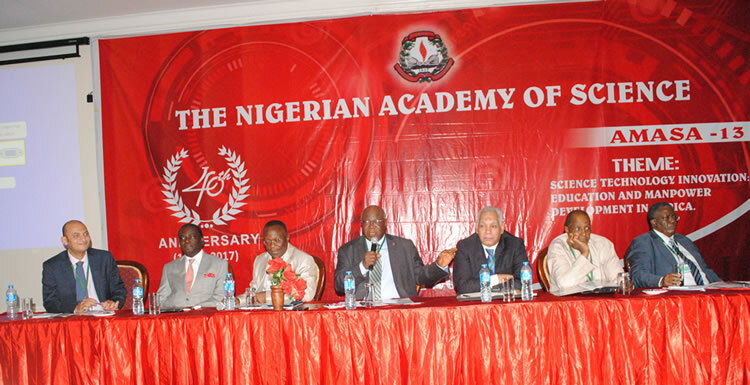 The Academy hosted the 13th Annual Meeting of African Science Academies (AMASA-13) in Abuja on the 15th and 16th of November, 2017. The scientific conference was titled ‘Science, Technology and Innovation: Education and Manpower Development in Africa’. 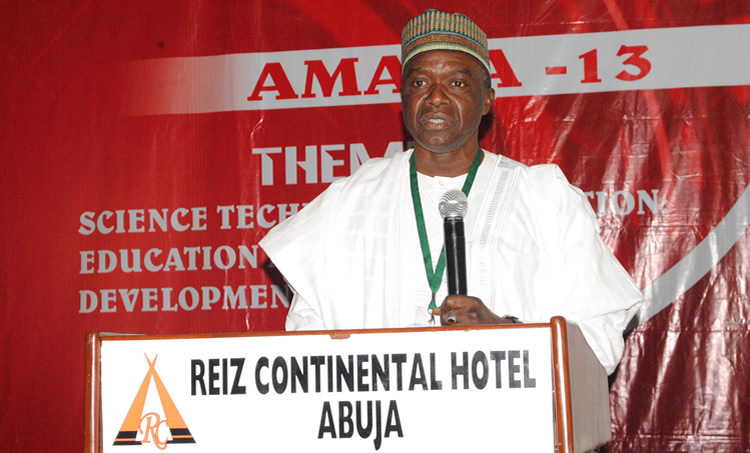 The Chairman, Senate Committee on Science and Technology, Professor (Senator) Robert Boroffice in his opening address discussed the solutions to STI education and manpower development issues in Africa. The Vice-President, Network of African Science Academies (NASAC), Professor Yousuf Mourdabocus, in his welcome address was pleased to be part of the meeting and welcomed all participants present. Goodwill messages were delivered from different stakeholders who included the Honourable Minister of Science and Technology, Dr. Ogbonnaya Onu, who was represented by the Director-General of the Energy Commission of Nigeria (Prof. Eli Bala), Mr. Ifeanyi Nwagbogu, Group Managing Director of Schlumberger, and Mr. Bamidele Makanjuola, Chairman of Vitafoam Plc. 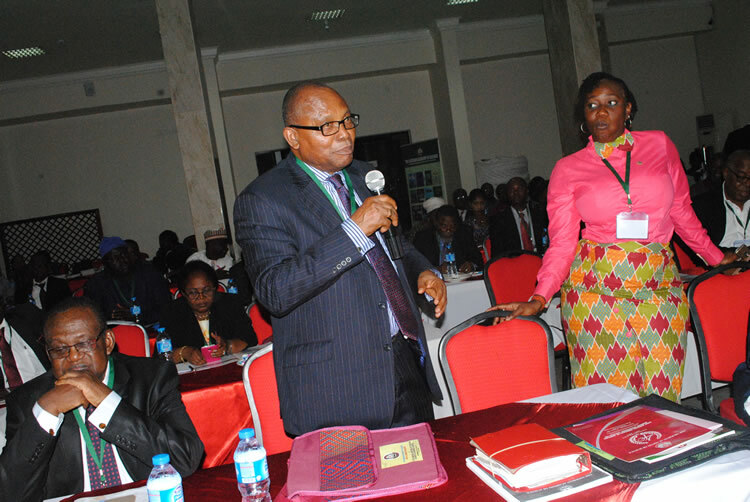 The scientific conference also discussed how science, education, and manpower development can accelerate Africa’s growth to meet globally acceptable standards; and also initiated a long-term engagement plan for African science academies and their respective governments/policy makers to work together towards a new era of STI development for a more sustainable and self-reliant Africa. The AMASA-13 conference was supported by the International Network for Government Science Advice (INGSA), Network of African Science Academies (NASAC), American Academy of Arts & Sciences, GenderInsite, Nigeria LNG Limited, Schlumberger, University of Ibadan, Federal University of Technology, Minna, Nnamdi Azikiwe University, Awka, Ecobank, and University of Medical Sciences, Ondo. 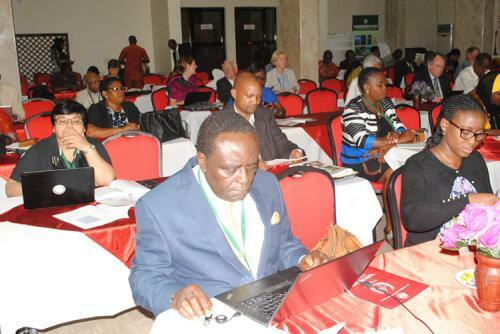 Participants included scientists from African academies of science, policymakers, as well as international development partners. 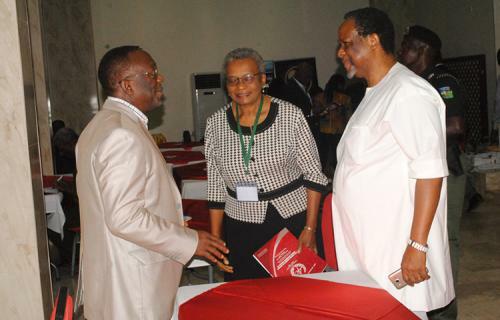 Other participants included Inter-government and Non-governmental organizations, researchers and research administrators.